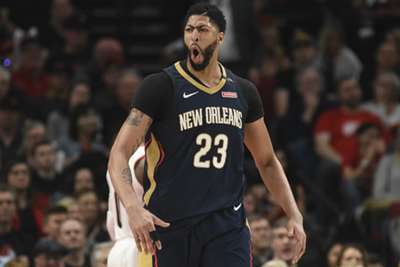 New Orleans Pelicans All-Star Anthony Davis believes he is the best player in the NBA, ahead of the likes of LeBron James and Kevin Durant. Davis has established himself among the best in the NBA after being selected with pick one by the Pelicans in the 2012 draft, the forward earning five All-Star selections. 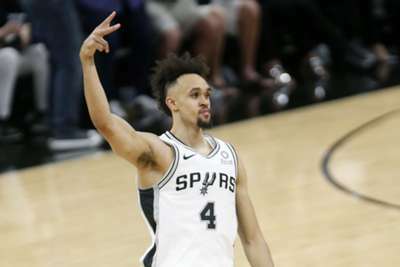 The 25-year-old has also made the All-Defensive and All-League teams on three different occasions, while he finished third in the NBA in MVP voting last season – behind Los Angeles Lakers superstar James and winner James Harden. James, Golden State Warriors and two-time NBA Finals MVP Durant, Houston Rockets guard Harden and Stephen Curry continue to lead the way in the league, however, Davis feels he is the most dominant force. "I see myself as the best player in the league, most dominant player in the league. I think it's time for that step," Davis told ESPN. "You only get a short window. And, I don't want that window to close, so I think my time is now." Asked why he should be ahead of LeBron and Durant, Davis replied, "Don't get me wrong, those two are great, great players, but I think I bring something unique to the table. "My game is different from both of those guys. Both ends on the floor. I was MVP candidate and Defensive Player of the Year candidate, and so that's why I feel like my name should be at the top of that list." Three-time champion James, Durant, Curry and Harden have all reached the NBA Finals, while Davis has only made two playoffs appearances for the Pelicans – progressing no further than the Conference semi-finals. "Winning definitely helps everything," said Davis, who played down links to the Lakers after teaming up with James' agent Rich Paul. "It helps with your legacy. It helps to be in the top of that list. So for me – yes, people see everything that I do. But not going forward in the playoffs or going to the playoffs every three years doesn't help my case."